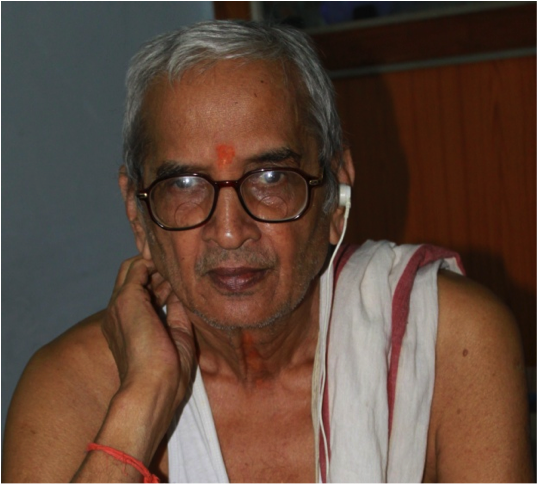 Shankar Sastry, Machilipatnam: ‘Whenever I think of Him I feel calmness within me. He fills me up leaving no room for troubles and worries’. Whenever I think of Him I feel calmness within me. He fills me up leaving no room for troubles and worries. I am a retired L I C (Life Insurance Cooperation) of India officer. I reside in Machilipatnam. I met His Holiness Sri Sri Sri Ganapati Sachchidananda Swamiji sometime between, the years 1975 to 1976. A friend, Mr. M Sitaramaya, a devotee of Sri Swamiji who had met Him several times before, invited me to have His darsan. I had heard that Sri Swamiji was a spiritual man, and at that point in my life I wanted peace of mind. This was my motivation to meet Him. We went to the Mysore Ashram where there were only a few sheds. We spent the night, even though there were lots of mosquitoes. In the early morning I got up and went to meet Sri Swamiji who was seated under a mango tree. I stood before Him and offer my pranams. At that same moment, I felt a wave-like sensation, starting from my feet travelling up to my head. This lasted for a few seconds, I composed myself. Then Sri Swamiji just waved to me and I left. In the years that followed I would visit Him, at the ashram, twice per year during the major festivals. On an occasion, in the ashram, when a devotee from Delhi, Savitri Devi, was singing, the raga stuck in my mind and I couldn’t sense anything around me. His Holiness sent two boys to me; they called me by name but I did not wake up. My friend sitting next to me then nudged me and I came to my senses. The boys said, that Sri Swamiji has asked that I pay fifty rupees to the singer. I paid that amount but never questioned anything. On another occasion, I was at the ashram attending the Dassera Festival. I got a high fever but I did not want to stay in the room and miss the pooja, so I went and sit where Sri Swamiji was performing the pooja. Not feeling very well I was lying on the floor. After the program someone came and told me that Sri Swamiji wanted to see me. I went to Him, He was in another building. I prostrated before Him and He asked what was wrong with me. I told Him that I had a fever. He immediately told me to open my mouth and He put vibuthi into it. After about five minutes I felt good, like I never had any fever. Then He told me to go and have prasadam (lunch). He knew that I did not have even coffee for breakfast because of the fever so He wanted me to eat something. I went and had food. After one of my visits to Mysore, I was preparing to leave for Machilipatnam. Two of my friends were with me. The train was scheduled to leave the station at 7.30am. We thought we would have Swamiji’s darshan before we leave. He normally comes out about 6.30am. On that morning Swamiji came out later than usual, and at 7.30am we were still in the ashram. We could not leave without seeing Him. When He came and saw us, He said, “Go, go”. We hurried to the train station and to our surprise the train was still there; it was delayed because of some technical problem. We were so happy, for Swamiji had delayed the train for us. I wanted to meet Sri Swamiji because I wanted peace of mind. I met Him and received more than that. Whenever I think of Him I feel calmness within me. He fills me up leaving no room for troubles and worries. When the worries and troubles come they melt away by the mere thoughts of Him. He is omnipotent, omniscient and omnipresent; He is in Machilipatnam, Mysore, Madras and everywhere. He is there; ready to help. Such is His love for His devotees. Over the years I have learnt how to put a little control on my thoughts. Everyday I sit for some time and watch my thoughts, and when the unwanted thoughts come I concentrate on the upadesam mantra I had received from Him, more than thirty-five years ago, and those unwanted thoughts go away. I try to keep Him always, in my mind, so the unwanted thoughts would not get a chance to manifest. 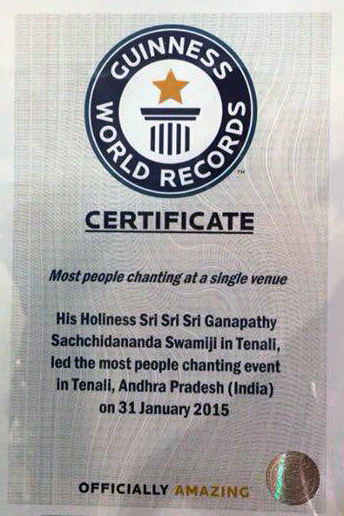 This is all due to the greatness of Sri Ganapati Sachchidananda Swamiji. Jaya Guru Datta! Yes, where isn’t Sri Swamiji? He does pervade everything and provides comfort for this devotee as well. Just the thought of Him. Thank you for this story. Jaya Guru Datta- good to read experiences like these. His Holiness is a living god – and the greatest and the most difficult desire of all- peace of mind is received in his presence. Sri Guru Datta. Great experience and I really appreciate the way to have control on thoughts! Jai Guru Datta …really nice to go through lines and urgoodselfs experiences with parampujni swamiji who is everything,everywhere….omnipotent, omniscient and omnipresent;…… Sri Guru Datta. Jaya Guru Datta . thank you for sharing your experience Shankar Sastry Garu.Sri Swamiji is sarvantharyami we very luky to have him.Sri Guru Datta. Great experience Shankara Sastry garu. It is true, HE is every where and is always there to help everyone. Thank you Sir, for narrating your story. Yes, Sri Swamiji is our God. Sri Guru Datta !! Each experience is teaching us something new.. wonderful to read .. thanks for Puttugam for this idea to share experiences. Jaya Guru Datta. Thanks for sharing your experiences with Sri. Swamiji. Sgd. and Blessed to have HIS Grace. Jaya Guru Datta! Thanks for sharing your valuable experiences that you encountered with our beloved Appaji. Jai Guru Datta Uncle – Your experiences of our all-pervasive, omniscient and omnipotent – yet so compassionate Appaji were so heartening to read… and remind us of our own experiences and Miracles experienced due to His Grace. As you indicated, His very presence sows seeds of sadhana in us that lead to our own Inner transformation amdist all the turbulence/chaos we face in the world. 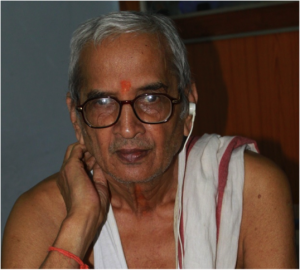 Sincere appreciation for sharing your association with Parama Pujya Appaji! Jaya Guru Datta!Om Sri Sri Sri Ganapathy Sachchidananda Datta Sadgurubhyo Namao Namah | Om Draam Dattaaya Namah | Thanks for sharing the divine experiances with Pujya Gurudeva.Sri Guru Datta.